Genocide and mass violence have become global threats to peace and security and a sad testament to the human condition. Almost a half million genocide and torture victims currently reside in the United States, with millions more suffering silently in other parts of the world. Recognizing an important opportunity to unify the University of South Florida’s wide-ranging genocide studies initiatives and to contribute to global education and action, the USF Libraries have created a global interdisciplinary center to understand and prevent genocide, with particular emphasis on the Holocaust, Armenia, and the Great Lakes Region of Africa. The USF Libraries Holocaust and Genocide Studies Center is becoming an internationally recognized center for the quality of its collections, research, teaching, and community engagement. To achieve this goal, the Center’s mission is to cross international boundaries to engage information specialists, scholars, educators, students, analysts, and activists in a centralized, interdisciplinary, collaborative, and synergistic approach to genocide education, mental health and public policy, and prevention. 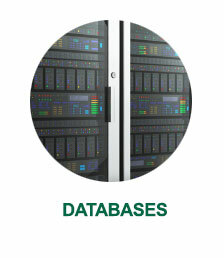 Login using your USF Net ID at the top-left link on this page. Enter Visual History Archive and click GO. Enter Testaments to the Holocaust and click GO. 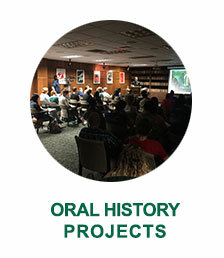 The circulating collections at the USF Tampa Library include several thousand items – including monographs, journals, government documents, and multimedia resources – that support research on topics related to genocides worldwide. Published and unpublished materials in all languages on Armenian history and culture from the mid-nineteenth through the mid-twentieth centuries. Special emphasis is given to Armenian-Turkish relations, genocide of Armenians and other ethnic groups during the late nineteenth and early twentieth centuries, resistance to oppression, and survivor memory, narrative, and trauma. Published and unpublished materials in all languages on the persecution of Jews and other groups by the Nazis and their collaborators. Special emphasis is given to survivor memory, narrative, and trauma as well as works about the Holocaust created between 1930 and 1950. Published and unpublished materials documenting genocide and crimes against humanity in the African Great Lakes region, with a primary geographic focus on Rwanda, Burundi, Uganda, Tanzania, Kenya, and the Democratic Republic of Congo. Special emphasis is given to collecting oral histories and primary documents on mental health, prejudice, history, education, politics, justice and reconciliation efforts, refugees, human rights, and militia groups. This collection contains testimonies that were handwritten in exercise books by students in Rwandan high schools between late 1999 and early 2000. Each testimony contains the first-hand account (in Kinyarwanda) of a child’s experiences from the beginning of the 1994 genocide in Rwanda until the child was rescued. This completed collection comprises nearly 150 testimonies with the Allied service men and women who helped liberate World War II concentration camps. 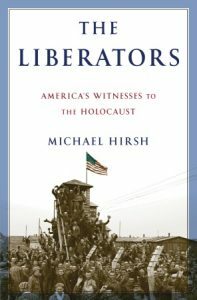 Author Michael Hirsh recorded the interviews for his book The Liberators: America’s Witnesses to the Holocaust (New York, 2010) and donated the tapes and transcripts with the USF Libraries Holocaust & Genocide Studies Center. Begun by University of South Florida Department of Communication Professor Carolyn Ellis and her graduate students, in collaboration with the Florida Holocaust Museum, this growing collection of oral histories documents the memories of Holocaust survivors now living in the Tampa Bay area. This growing collection of survivor testimonies, conducted in the U.S. and Africa by University of South Florida Department of Anthropology Professors Elizabeth Bird and Dr. Erin Kimmerle, USF Department of History Professor Fraser Ottanelli, and Tampa Police Detective Charles Massucci documents the massacre that took place on October 5th 1967, in the Delta State of community of Asaba, in Nigeria. The systematic persecution and murder of over six million Jews and other groups by the Nazis and their collaborators during the 1930s and 1940s is one of humankind’s greatest tragedies. The Holocaust was so unprecedented in modern human history that Raphael Lemkin coined the word genocide to describe these atrocities. Though not the first such event in the 20th century, the Holocaust has reframed the way in which people understand other genocides, such as the massacre of Armenians during the First World War and the slaughter of well over a million Africans in the last several decades. 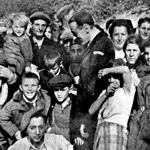 The Holocaust Studies Initiative creates strong and unique collections to advance knowledge and teaching; applies lessons from the Holocaust to build empathy and understanding between cultures; gives voice to survivors and their children to end the effects of trauma, which often are passed from one generation to the next; relates lessons from the Holocaust to current events in order to identify and prevent the forms of persecution that can lead ultimately to genocide; and builds partnerships worldwide to share expertise and learn from other about teaching the Holocaust and other genocides. What does the world know about the Armenian Genocide? Does your neighbor understand the historical events that scattered generations of Armenians worldwide? An understanding of Armenians and their place in history is critical in learning its lessons. For example, few realize that Adolf Hitler reportedly drew from the Armenian Genocide to justify his maniacal intentions in 1939. Genocide is the greatest scourge of the 20th and 21st centuries: one that can be addressed by giving voice to the silence. 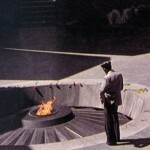 The Armenian Studies Initiative builds research collections in English, Armenian, and other languages; teaches about Armenian history and culture; positions Armenia squarely in the historical and policy debates about genocide and its prevention; engages with the Armenian community, especially in the southeastern U.S.; and enhances intercultural dialogue about the shared experiences of the survivors of oppression and attempted annihilation. You can learn more here. The painful legacy of genocide in Europe and East Asia now affects East Africa. Hard lessons learned during the Second World War failed to prevent the horrors experienced in Cambodia or Bosnia. For survivors of genocide and crimes against humanity in Rwanda, Darfur, Burundi, Democratic Republic of Congo, Uganda, Kenya, the effects also linger. Communities coping with the aftermath of genocide have much to offer researchers, teachers, and mental health professionals. Yet challenges remain for future generations. The African Great Lakes Initiative creates distinct collections to advance knowledge and teaching; applies lessons from East Africa to build empathy and understanding between cultures; positions conflict in the African Great Lakes region squarely in the historical and policy debates about genocide and its prevention; and relates lessons from East Africa to current events in order to identify and prevent the forms of persecution that can lead ultimately to genocide. In 2007, the University of South Florida and the Florida Holocaust Museum signed a formal affiliation agreement enabling cooperation in a number of areas. Chief among these are efforts to provide greater access to collections held at the Museum and USF Libraries. 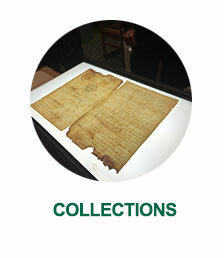 Access the Museum library’s online catalog. 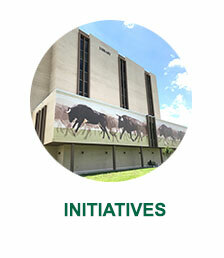 The USF – Florida Holocaust Museum collaboration includes programming that makes use of both institutions’ strengths. The USF Libraries Holocaust & Genocide Studies Center has formalized a partnership with UK-based non-governmental organizations Waging Peace, and their sister (aid) agency, Network for Africa. Waging Peace campaigns against genocide and systematic human rights abuses, with a particular focus on Africa. It’s current priority is Darfur, where it is fighting for an immediate end to the atrocities taking place. To carry out respective but overlapping missions, Waging Peace and the University of South Florida Libraries have engaged in a partnership to document the lives of Africans living in the midst of and recovering from genocide in their region. The partnership includes development of collaborative digital video collections that include images, text, audio, and video, and geographic data (geolocation using GPS). 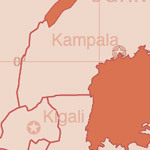 Using the images, text, and other information collected by Waging Peace and Network for Africa while on field visits to Africa, USF Libraries Special & Digital Collections will create a geospatial web interface to present the material to the public, relating it to the precise geographic location where it was created. 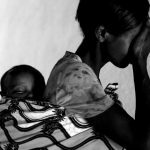 While on a fact-finding mission to eastern Chad in June and July 2007, Waging Peace researcher Anna Schmitt was told by Darfuri refugee women how their children had witnessed horrendous events when their villages were being attacked. This prompted Anna to talk to the children. She gave the children, aged 6 to 18, paper and pencils and asked them what their dreams were for the future and what their strongest memory was. 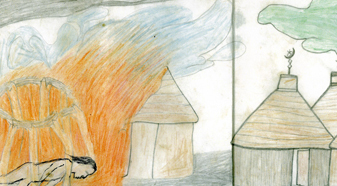 The resulting drawings have toured the world, to raise awareness of the crisis in Darfur. In November 2007, the drawings were accepted by the International Criminal Court in the Hague as contextual evidence of the crimes committed in Darfur and as such they will be used in the trials of the accused, as a graphic illustration of the atrocities. A selection of these drawings were exhibited at the USF Tampa Library in January of 2009. The original 500+ drawings comprise a collection to be donated by Waging Peace to the USF Libraries Holocaust & Genocide Studies Center upon completion of exhibitions worldwide. Rebecca Tinsley, founder of Waging Peace and Network for Africa spoke at the USF Tampa Library as the USF Libraries Holocaust & Genocide Studies Center’s 2009 Lecture Series inaugural speaker. The need to widely disseminate research on genocide by scholars in Rwanda has been a challenge due to limited circulation of the two printed journals that are published by the Center for Conflict Management at National University of Rwanda. In the month of May 2012, University of South Florida Libraries, through the USF Holocaust & Genocide Studies Center (HGSC), signed a Memoranda of Understanding to host the Journal of African Conflicts and Peace Studies and Peace and Conflict Management Review so that these journals can be published in an online open access model. 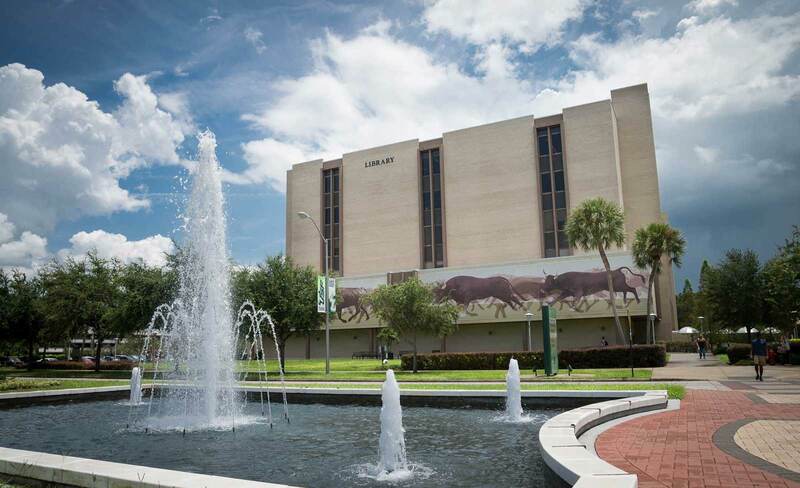 University of South Florida Libraries will provide the open access publishing platform and host the journals and the Center for Conflict Management will be the publisher. National University of Rwanda was established in 1963 and is currently the largest public university in Rwanda. It has over 12,000 students and offers 39 undergraduate and 24 graduate degree programs. Most of the research in Rwanda regarding the Rwandan genocide is conducted by researchers at the National University of Rwanda’s Center for Conflict Management (CCM) that also offers two master’s degree programs, namely: Master’s Degree in Genocide Studies and Prevention; and Master’s Degree in Peace and Conflict Studies. Apart from Open access journal hosting, CCM and HGSC are looking for more avenues to grow joint collaborative research on genocide in the African Great Lakes Region.